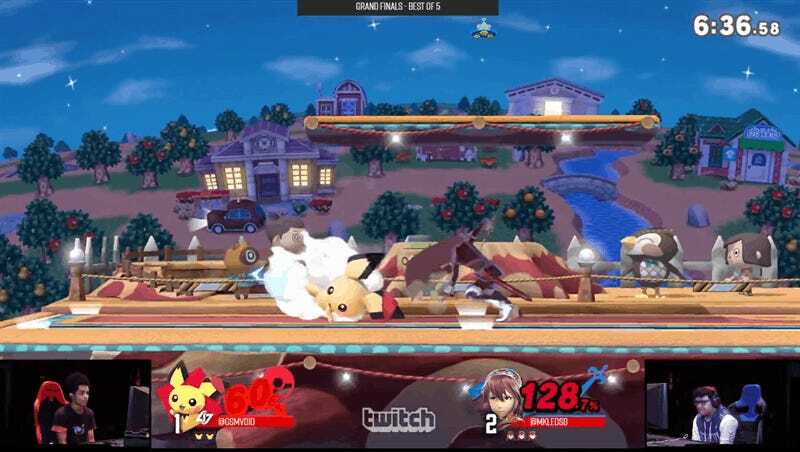 Right after the world’s most blah Super Bowl mercifully wrapped itself up, 124,000 viewers tuned in to Twitch to watch something way more exciting: the Oakland Super Smash Bros. tournament Genesis 6. The event was one hype moment after another, and its players looked so capable that, at times, I wondered what devil they’d promised their firstborn to. 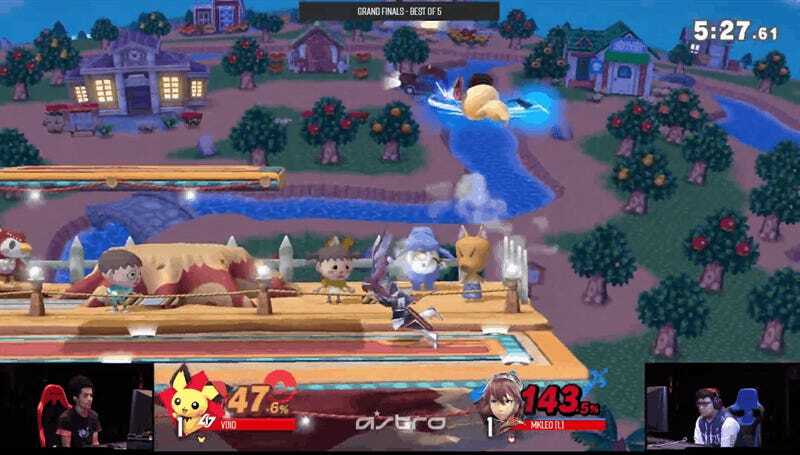 Over the course of the past three days, 2,100 Smash Ultimate competitors went head-to-head, whittling the event’s enormous player pool down to one. 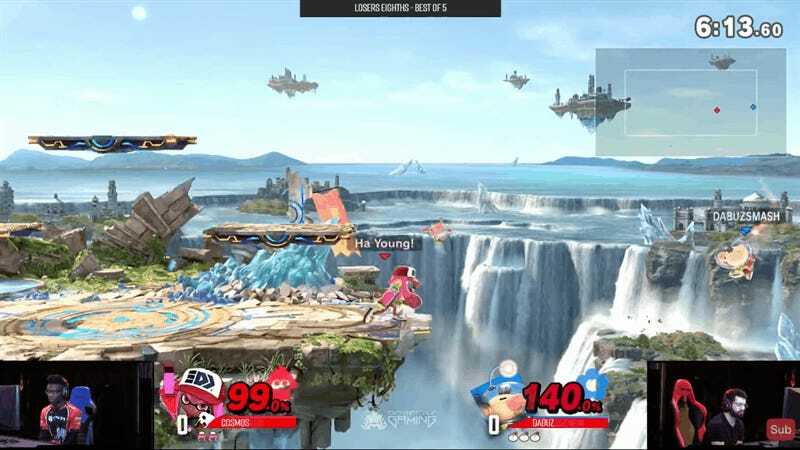 Unlike the game’s prior iteration, which by the end of its competitive life was dominated by just a couple characters, a huge variety of Smash Ultimate fighters featured over the weekend. 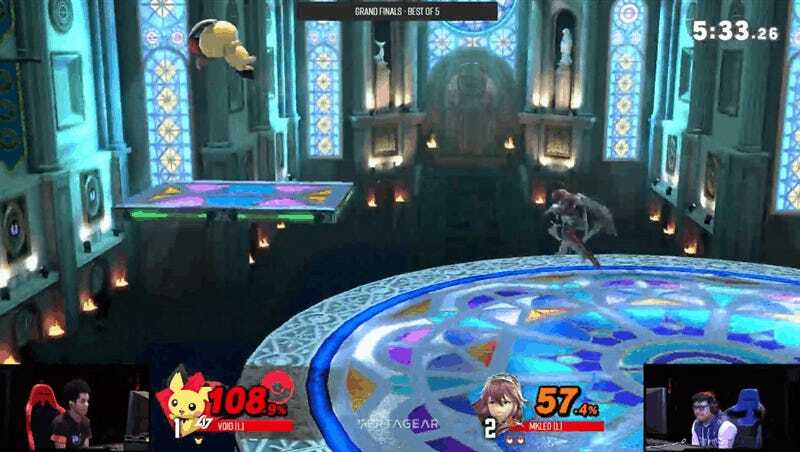 The top eight players chose characters like Pikachu, Fox, Captain Olimar, Peach, Pichu, Lucina, Ike, Wolf and Inkling. 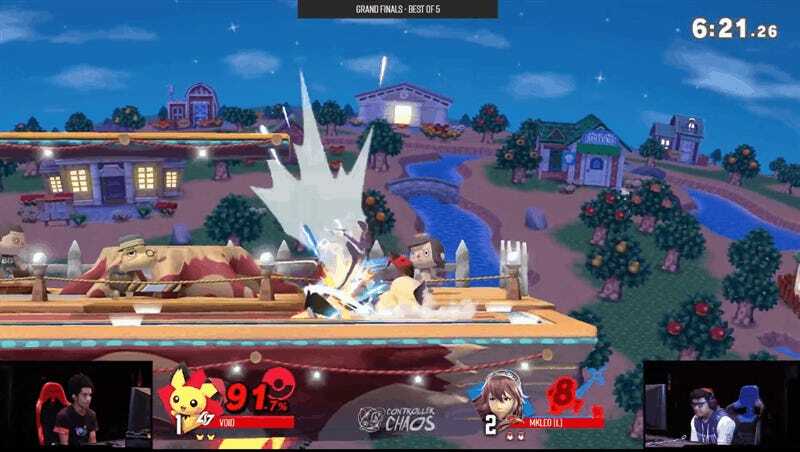 Recent data from Nintendo has backed up to fans’ theory that the game is excellently balanced across its 72 fighters and, if you’re still waiting for more proof of that, add Genesis 6 to the pile. But who won? 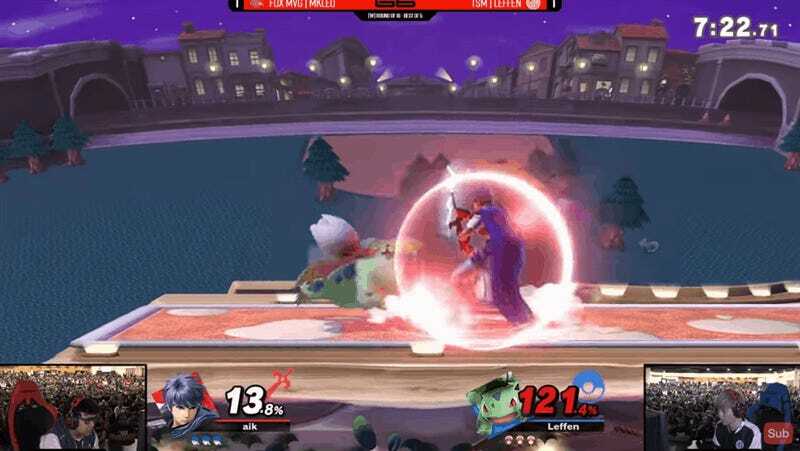 The tournament finals were between Mexican Ike-slash-Lucina player Leonardo “MKLeo” Perez and California Pichu main James “Void” Makekau-Tyson. Makekau-Tyson arrived at the Finals with an undefeated run through the bracket and a terrifying concentration face. 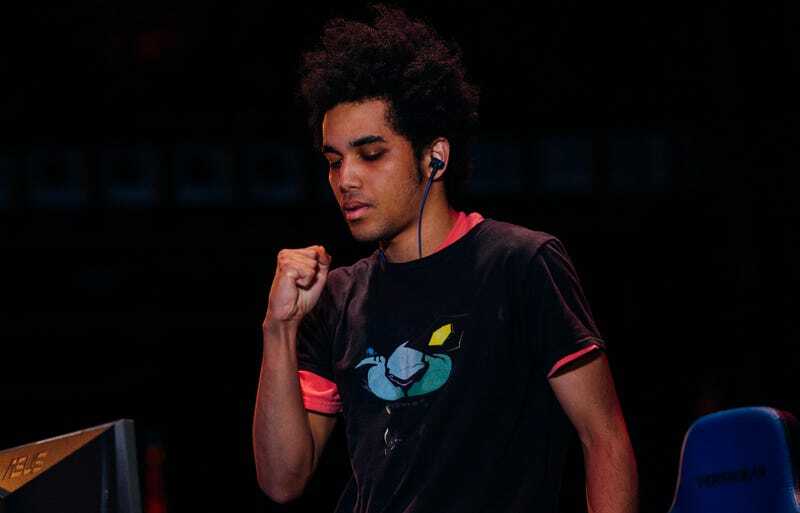 Perez, who had won the prior two Genesis tournaments, had gotten thrown into the losers bracket by Peach player Ezra “Samsora” Morris Jr., who has been raging through local tournaments. Perez annihilated the rest of his opponents in the losers bracket before finally encountering Makekau-Tyson in the finals. 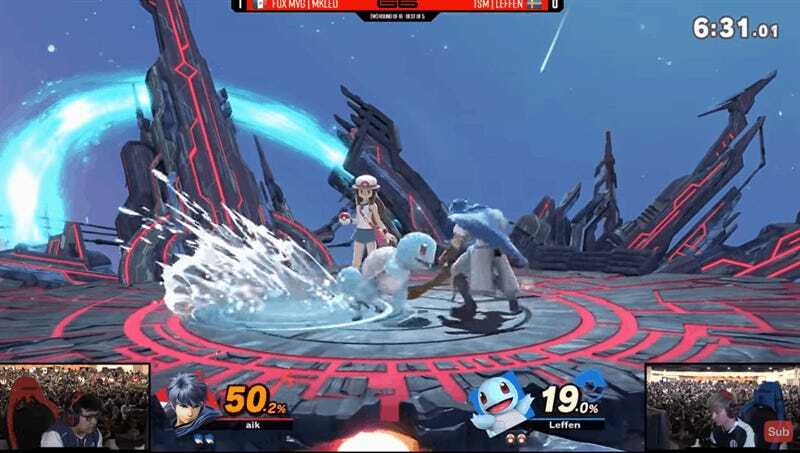 It’s hard to pick a favorite match from an event this exciting, but mine might be Perez’s match against William “Leffen” Hjelte, a Melee player who, in Smash Ultimate, is playing left-fielder Pokemon Trainer, who can summon Squirtle, Ivysaur and Charizard. Hjelte was pulling off moves with the fighter that most people probably haven’t seen before. 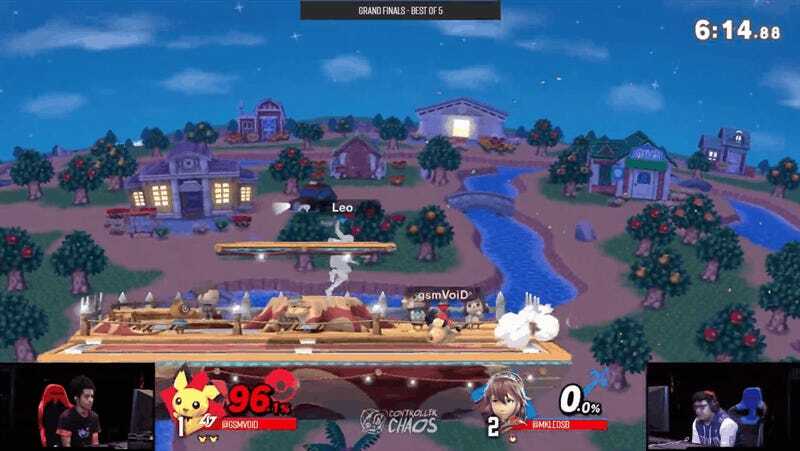 Smash fans who missed out on Genesis 6—busy sucking on corn cobs and mourning the fact that, yet again, the worst people won the Super Bowl—should cleanse their palates with these vods.